Your cameras or GoPros have a distinctive fisheye look to their videos. It's an extreme wide-angle perspective that can be great for an immersive, action look. But it might not always be what you want because these fisheye videos were distorted. 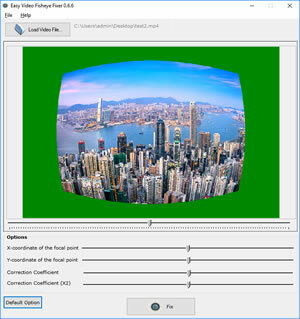 Easy Video Fisheye Fixer corrects your video fisheye lens distortion. This software can let you find the right parameters simply trial-and-error. Very easy to use.